Blanding, Don. A Grand Time Living. Photo available. New York. Dodd, Mead & Co. 1950. Octavo. Hard cover. First edition. Illustrated. Scarce Blanding title. Fine copy (book plate) in edge chipped dust jacket (in mylar). Blanding, Don. Drifters Gold. Inscribed by the author. New York. Dodd, Mead & Co. 1946. 142 pps. Octavo. Hard cover. Second edition. Illustrated. Inscribed by the author. Fine copy in near fine (edge chips, small blemish on front panel) dust jacket (in mylar). Blanding, Don. Drifters Gold. Inscribed by the author. New York. Dodd, Mead & Co. 1939. 142 pps. Octavo. Hard cover. First edition. Illustrated. Inscribed by the author. Fine copy in dust jacket with large chip missing on front bottom panel (in mylar). 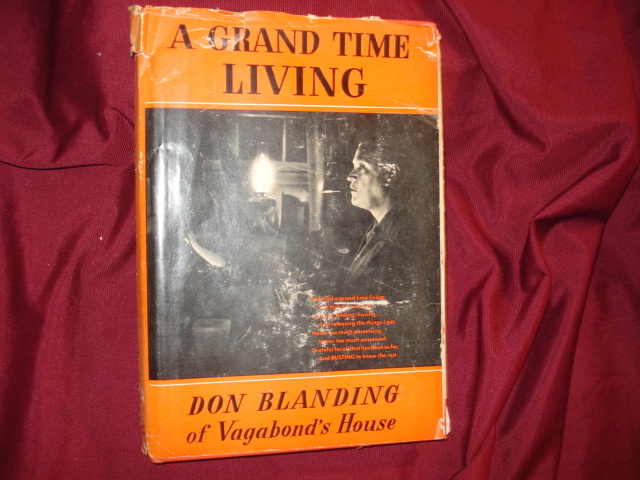 Blanding, Don. Let Us Dream. Photo available. New York. Dodd, Mead & Co. 1937. Octavo. Hard cover. Reprint. Illustrated. Fine (owner name on end paper) copy. Blanding, Don. The Virgin of Waikiki. A Torrid Tragedy of the Tropics. Photo available. New York. Henry M. Snyder & Co. 1933. Octavo. Hard cover. First edition. Illustrated by A.B. Butler. Fine copy in fine dust jacket (in mylar). Blanding, Don. Vagabond's House. New York. Dodd, Mead. 1938. 114 pps. Octavo. Decorated hardcover. Reprint. Illustrated. Near fine copy. Light spine sunning. 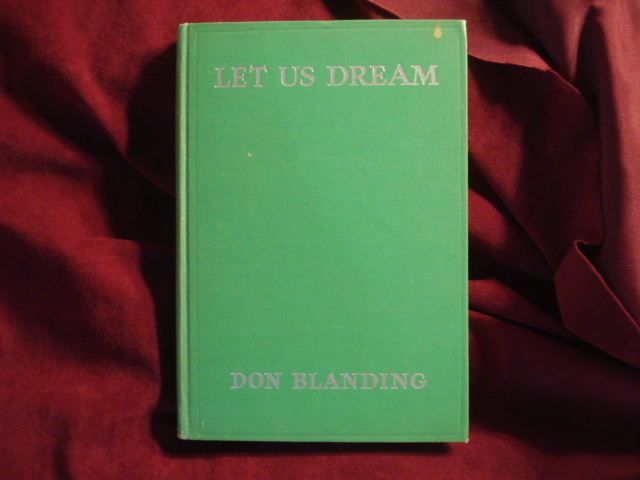 Blanding, Don. Vagabond's House. New York. Dodd, Mead. 1943. 114 pps. Octavo. Decorated hardcover. Reprint. Illustrated. Near fine copy (very light shelf wear). Block, Lawrence. Spider, Spin Me a Web. A Handbook for Fiction Writers. Photo available. New York. William Morrow. 1988. Octavo. Soft cover. First edition thus. Fine copy. Blotner, Joseph. Robert Penn Warren. A Biography. New York. Random House. 1997. Octavo. Hard cover. First edition. Fine copy (remainder dot on top edge) in fine dust jacket (in mylar). Bode, Carl. Mencken. Photo available. Carbondale. Southern Illinois University Press. 1973. Octavo. Soft cover. Reprint. Fine copy. Bogan, Louise. The Blue Estuaries. Poems. 1923-1968. Photo available. New York. Ecco Press. 1985. Octavo. Soft cover. Reprint. Near fine copy (several dings on spine edge). Bogue, Lucile. Wind-bells on the Bay. El Cerrito. Windsong. 1983. Octavo. Soft cover. First edition. Illustrated Rosella Palmer. Fine copy. Borcherding, David (ed). Science Fiction and Fantasy Writer's Sourcebook. Cincinnati. Writer's Digest Books. 1996. Octavo. Decorated hard cover. Second edition. Illustrated. Fine copy. Bordin, Charlie. Cuba. A Fantasy. np. Self published. nd. Octavo. Soft cover. First edition. Fine copy. Borovsky-Hidalgo, Natasha. Under the Rainbow. np. np. nd. Octavo. Soft cover. First edition. Illustrated. Fine copy. Bourdreau, Eugene H. Chubasco. A Novel of the 1910 Mexican Revolution. Sabastopol. Redbud Press. 1993. 409 pps. Octavo. Soft cover. First edition. Illustrated by Riker. Review copy. Review slips laid in. Fine copy. Bourgeau, Art. The Mystery Lover's Companion. Over 2,500 Mysteries, etc. Described... New York. Crown Publishers. 1986. 312 pps. Octavo. Hardcover. Reprint. Fine copy in near fine dust jacket (in mylar). Bowen, Elizabeth. Anthony Trollope. A New Judgement. Photo available. New York. Oxford University Press. 1946. 35 pps. Octavo. Decorated hard cover. First American edition. Illustrated. Fine copy. Bowker, Gordon. Pursued by Furies. A Life by Malcolm Lowry. Photo available. New York. St. Martin's Press. 1995. Octavo. Hard cover. First edition. Illustrated. Fine copy in near fine (very light shelf wear) dust jacket (in mylar). Boyd, Sue Abbott. South and West. An International Literary Quarterly. Volume 9, Nos. 2-3. Oswego. State University College. Fall, 1970. 70 pps. Octavo. Soft cover. First edition. Fine copy. Boyne, Walter. Roaring Thunder. A Novel of the Jet Age. Photo available. New York. Tom Doherty. 2006. Octavo. Hard cover. First edition. Fine copy in fine dust jacket (in mylar). Boyne, Walter. Roaring Thunder. A Novel of the Jet Age. New York. Tom Doherty. 2006. Octavo. Hard cover. First edition. Fine copy in fine dust jacket (in mylar). Brabazon, James. 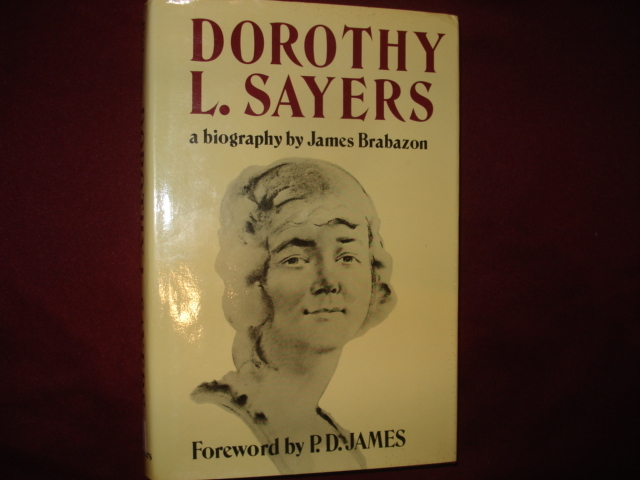 Dorothy L. Sayers. A Biography. Photo available. New York. Charles Scribners. 1981. Octavo. Hard cover. First edition. Illustrated. Fine copy in fine dust jacket (in mylar). Bradbury, Ray. A Medicine for Melancholy. New York. Bantam. 1971. Octavo. Soft cover. Reprint. Fine copy.